Storytelling has been on the rise for a few years now. People trust brands with convincing stories behind them. Storytelling even got their own social media platforms like Medium and Linkedin. 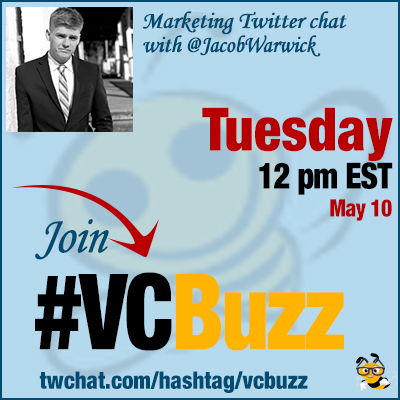 We’ll chat about brand storytelling today and how it should be part of your business content marketing strategy.
.@JacobWarwick is copywriter and brand storyteller as well content marketing and social media manager. Q1 How did you become a content marketer and what helped you achieve success? Please tell your story! I’ve been doing content marketing for nearly 10 years, I just didn’t always know that it was called “content”. I really got into content marketing as a way to help my friend’s improve their business messaging and branding. Couldn’t agree more with that. It’s pretty rudimentary at it’s core. Q2 What is brand storytelling? I find brand storytelling is mostly a buzzword that means, “copy owned and managed by a brand” Which is pretty gross IMO. I don’t like the term brand storytelling—I think a “good story” that engages and resonates comes from authentic people. But how do you do it effectively—and at scale? Q3 Can you give a few examples of brands successfully using story telling as part of their digital strategy? I recommend checking out @buffer’s blog on transparency—and chatting with @leowid. They know what’s best. This is out of left field, but @starcitygames does a good job fostering their community of writers for their brand. Q4 Should brand story be personal? Should employees and brand ambassadors become part of brand story telling? How to best implement influencer marketing in brand storytelling strategy? Absolutely. Again, for brand’s, it’s about educating and empowering your people. Their voice makes up your business. Influencer marketing boils down to empathy. Think about the win-win benefits of working with influencers before approaching one. Q5 Please list your favorite content marketing tools: What tools help you create better content and become a more productive writer? I love me some @buffer—but lately have been using @sproutsocial & @simplymeasured the most. Don’t forget, education is a great tool also—I follow @blastam, @brianhonigman, @cmicontent, @jaybaer, & @nealschaffer. I’m a slow adopter. I’m still hyped on how awesome @googledocs are! @MarketingProfs Also, go Red SOX! No joke. #VCBuzz #BigPapi @15Lasershow is my favorite!